A few months back I mentioned about wanting to learn more skills in animation and rigging. Since then I feel that I’ve learned a fair bit, and while there’s still more to do this is a look at where we’re at right now. 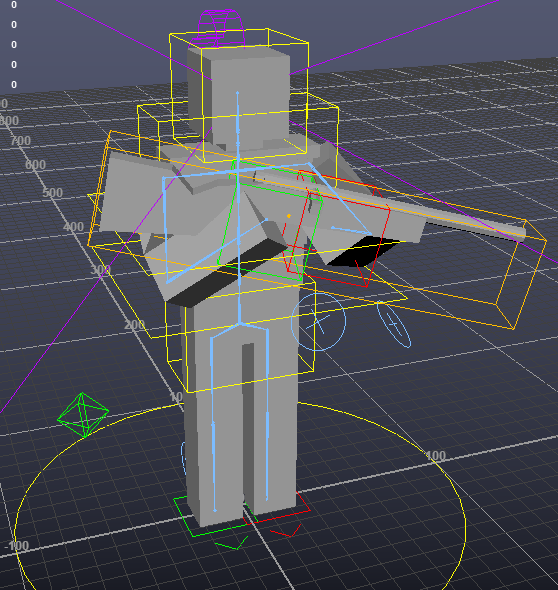 3’s rig has no controls, just moving the bones around. 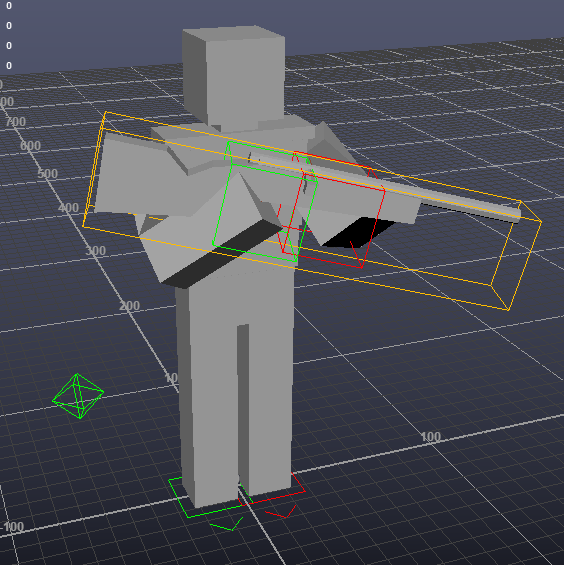 It’s tricky to animate with and doesn’t support actions like pulling back the bolt on a rifle or moving the magazine. 4’s first rig was still in Blender and tried to improve somewhat, but at this point I hadn’t been researching rigging yet so it shared a lot of flaws with 3 I wasn’t even aware of. I did experiment with manually creating the rig, or using ARTv1 which is bundled with Unreal Engine, but in the end I decided that the best approach will be to create a bunch of custom tools myself. In part because the Denizen doesn’t match human anatomy very closely, and also because it will help streamline the content creation for all of 4. 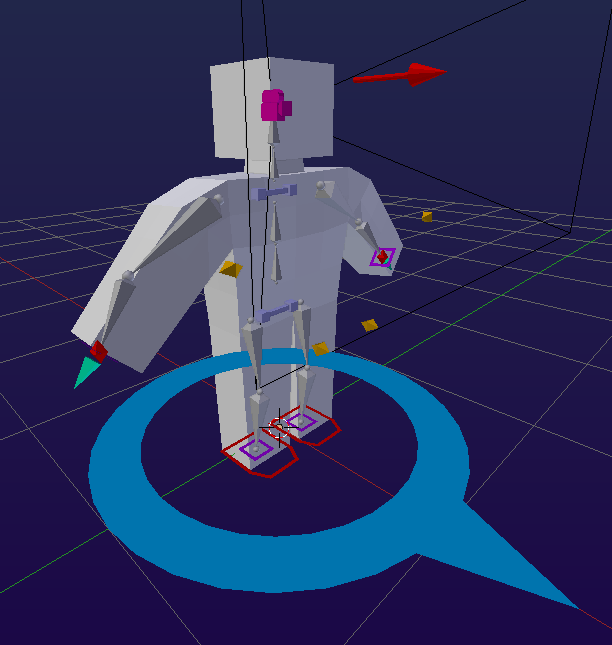 This past week I’ve been working on the Denizen generator which creates the control rig, as well as a debug mesh. 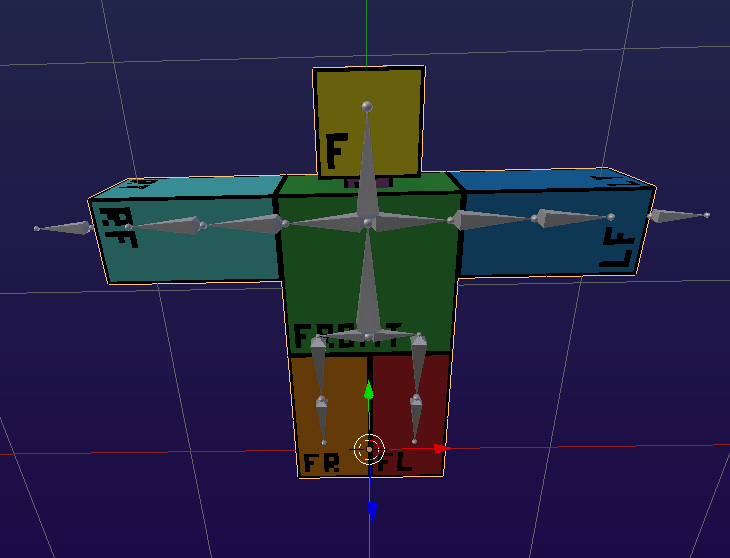 (The mesh shown isn’t the final character mesh) Generating the mesh makes it a lot easier to test out different dimensions. Based on feedback I’ve seen for v1 I’ve introduced a gap between the legs, made the character skinnier, extended the arms and scaled down the head. Here you can see an imported 3.0 Timberwolf being held using the inverse-kinematic hands. I think this will really help improve the animation quality, as the hands can be attached to different parts of the item which then move. It will eliminate the floaty kind of look a lot of 3’s two-handed animations have, and make actions like pulling the bolt back a lot easier because the right hand could attach to the bolt, then animate the bolt coming back without having to counter-animate the gun into the left hand. Note that the dimensions, bone names, etc are subject to change right now so you shouuld NOT start making mods or anything designed specifically for this skeleton or they’ll break. I do want feedback though if you give it a try and have some change requests! Specifically on the list are tools like space switching (e.g. magazine, bolt, gun), IK/FK matching, and cleaning up the controls. These will be released when the rig is done. I’ve also already made tools for 1-click importing into Unreal which is a lot faster than manually exporting from Blender like I was for v1. Last week we found a nice place in Calgary that’s less expensive, so come August 3rd it’s time to pack up and drive across the country. After moving in there the schedule’s finally clear to double-down on updates for 4!